In Shandong Chenming Paper Holdings Limited v Arjowiggins HKK 2 Limited (HCMP 3060/2016), the Hong Kong Court of First Instance (“CFI”) decided that an otherwise solvent mainland Chinese company with a secondary listing in Hong Kong, but with no assets in the jurisdiction, could be wound up in Hong Kong for failure to make payment of an arbitral award. The company sought a declaration that it should not be wound up under Hong Kong law because the petitioner would not derive benefit from the winding up. The CFI rejected the company’s arguments, so potentially opening up an avenue of enforcement against award debtors whose shares are listed in Hong Kong, but do not otherwise have assets in the jurisdiction. 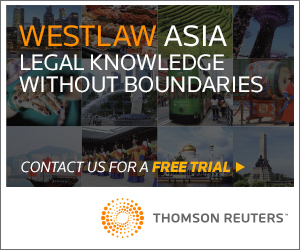 The Hong Kong courts have the power to wind up a foreign company under s. 327(1) and (3) of the Companies (Winding Up and Miscellaneous Provisions) Ordinance (Cap. 32). This is a discretionary jurisdiction. It applies notwithstanding that ordinarily the appropriate jurisdiction to wind up a company is the jurisdiction in which it is incorporated. The courts have developed three “core requirements” which must be satisfied before the discretion is exercised: (1) there is a sufficient connection with Hong Kong (but not necessarily the assets within the jurisdiction); (2) there is a reasonable possibility that the winding-up order would benefit those applying for it; and (3) the court must be able to exercise jurisdiction over one or more persons in the distribution of the company’s assets (per Kwan J in Re Beauty China Holdings Ltd  6 HKC 351). The Plaintiff (the “Company”) is incorporated in mainland China with shares listed on the Shenzhen Stock Exchange, and a secondary listing of shares on the Stock Exchange of Hong Kong Limited. In October 2012, the Defendant (“AH2”) commenced arbitration proceedings against the Company in relation to a dispute arising out of a joint venture agreement. Subsequently, by an arbitral award dated 20 November 2015, the arbitration tribunal awarded AH2 damages of RMB 167,860,000 (the “Award”). On 7 December 2015, AH2 obtained leave from the CFI to enforce the Award. The Company failed to make payment and, on 18 October 2016, AH2 served a statutory demand on the Company. The Company then applied to the court ex parte on notice to enjoin AH2 from issuing a winding up petition and then issued an originating summons seeking a declaration that the circumstances did not satisfy the “three core requirements” for the court to exercise its discretion. The Company contended that it did not have any assets or undertake any business in Hong Kong and its only connection with the territory was its listing. It therefore submitted that the appointment of a liquidator in Hong Kong would be futile as he or she would not be able to realise the Company’s mainland assets. In other words, no benefit would be derived from the winding up order (and so the second core requirement would not be satisfied). 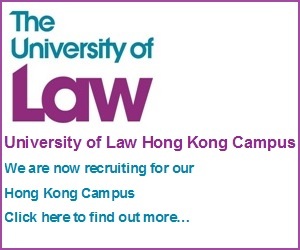 AH2 contended that it would benefit from a winding up on the basis: (1) that the Company’s listed status in Hong Kong was a valuable and realisable asset in Hong Kong; (2) that the Company had, prior to April 2015 a directly held subsidiary in Hong Kong, which controlled a significant part of the Company’s profit and which, notwithstanding a subsequent restructuring by which it became an indirect subsidiary held through Mainland and BVI companies, a liquidator could potentially obtain control of, and recover assets held by, this subsidiary; and (3) the winding up would facilitate an investigation into alleged breaches by the Company of the Listing Rules by failing to have at least one independent non-executive director who is ordinarily resident in Hong Kong. The CFI first examined, and in turn dismissed, each of AH2’s arguments as to applicable benefit. First, in view of its corporate structure, the value of the listed status of the Company in Hong Kong was, “viewed realistically”, not capable of providing a material benefit to AH2 or other creditors of the Company. 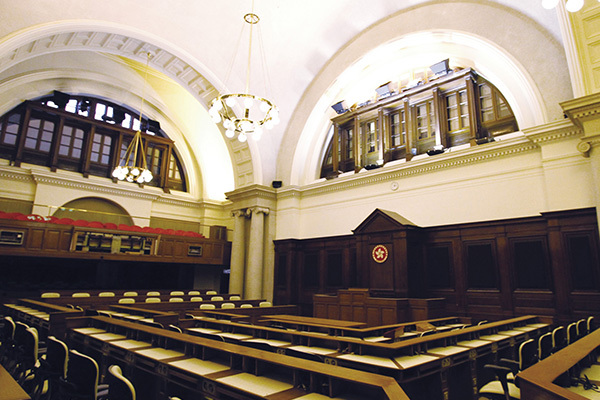 Second, with respect to a potential liquidator realising benefits in the Company’s indirect subsidiary via the winding up of the Company, the CFI observed that it was “very difficult to predict how a court in the Mainland would react to an order made by the Hong Kong court to wind up a company incorporated in the Mainland”. The court then concluded on this issue that while it could not “entirely discount action by a liquidator in the Mainland resulting in a recovery for creditors it is a factor of limited weight”. Finally, when it came to the Company’s alleged breach of corporate governance rules, the court found that “there are other ways of dealing with these kinds of infractions and of themselves they do not justify putting a solvent listed company into compulsory liquidation and, more pertinently, the Defendant would probably derive no benefit from an investigation into breaches of the Listing Rules”. However, notwithstanding its rejection of AH2’s arguments, the court nonetheless went on to find in AH2’s favour that, although the Company had no assets in Hong Kong, AH2 would derive a benefit from the winding up order against the Company. The court found that, whilst no obvious benefit could be derived from the listed status of the Company or its assets held outside of Hong Kong, such benefit could be derived from the “leverage” to AH2 created by the prospect of a winding up petition/appointment of a liquidator. In the words of Justice Harris, “[t]he damage done to the Company’s reputation and the possible interference in its ability to carry on business overseas as a consequence of enforcement action by a liquidator would be immense”. Furthermore, “[u]nless the Company was surprisingly indifferent to these adverse consequences one would expect its management at some point in time to decide that the Company had no choice, but to pay the Award”. The CFI went on to refer to “another consideration”, which would justify the moderation of the core requirements. This consideration, put simply, was the Company’s conduct in refusing to pay the award, notwithstanding its ability to do so. 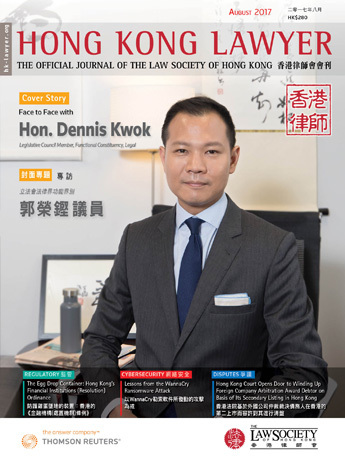 Justice Harris considered that there was a public interest in sanctioning this “unacceptable” conduct, in order “to disabuse other Mainland companies of the idea that they can take the benefit of access to Hong Kong’s financial system without the burden of complying with our laws”. Justice Harris dismissed the originating summons. He also awarded AH2 its costs on an indemnity basis, reflecting the “unethical conduct of the Company”. A petitioner is entitled to file a winding up petition against a solvent company where the petitioner is clearly owed a liquidated sum and the debtor company does not have any valid ground for refusing payment (Re Yueshou Environmental Holdings Ltd, unreported, HCCW 142/2013, Harris J, 16 July 2014). The court then has discretion as to whether to wind up the company. In the present case, the important principle to note is that in appropriate cases, the “immediate and severe” consequences that would inevitably force the company to pay is in itself sufficient “benefit” to the petitioner. In respect of nationality, it is important to note that, although the court’s reasoning addressed mainland Chinese companies, there is no reason in principle why this should not apply to all foreign companies with secondary listings in Hong Kong. In light of the finding that there was sufficient benefit as described above, the CFI’s further finding on public policy is an important one. The implications of Justice Harris’s decision on public policy are obvious in that there is now a precedent in Hong Kong at the CFI level that in appropriate circumstances where a solvent foreign company listed in Hong Kong simply refuses to pay a debt, the Hong Kong courts may exercise their discretion to wind up the company. Whilst this decision is an important one, and will no doubt be relied on in further cases to support similar applications, we do not consider that it sets down a general principle that foreign companies with no other connection other than a listing in Hong Kong, which refuse to pay their debts, will automatically justify a winding up order. The jurisdiction to wind up a foreign company remains a discretionary jurisdiction and the petitioner in each case, will still be required to establish the core requirements and, in exceptional circumstances, that the public policy grounds ought to properly apply to the exercise of the court’s discretion. The authors wish to thank Vivian Choi, trainee solicitor at Peter Yuen & Associates for her assistance in preparing this article. Damien McDonald specialises in international arbitration with a particular focus and expertise in China-related disputes. 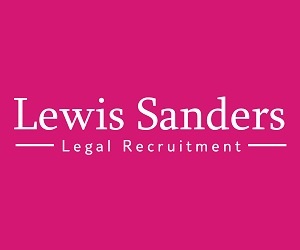 He also has extensive experience in dealing with commercial disputes in Hong Kong, the United Kingdom and Australia. He has practiced with leading local and international dispute resolution teams in Hong Kong, Beijing, Shanghai, London and Australia.